Elephants have an almost magical hold on our imaginations. Millions of children are brought up reading “E is for Elephant”. These magnificent giants are a joy to watch, and bathing or riding one is a temptation for many tourists visiting Asia. It looks like great fun to sit atop a three-metre high wild animal while it lumbers through forests and across rivers. And surely it can’t harm such a massive beast, can it? Unfortunately, it can, and it does. There is a very dark side to the use of elephants in tourism -- one that most tourists are simply not aware of. Populations of elephants are threatened with extinction in the wild, yet elephants are often illegally sourced from the wild for use in the tourism industry. Wild juvenile elephants are forcibly separated from their families and taken into captivity to supply demand. Wild-caught and captive-bred elephants are usually subjected to abusive treatment to break their spirit and make them more compliant. Trained elephants may be controlled by their handlers through a combination of intimidation and reward, which may involve the use of the ankus or bullhook -- a implement with a sharp steel point and curved hook which is used to stab, direct and compel the elephant to make it obey commands. It can cause pain, even significant wounds, especially to the more tender parts of the elephants, the feet,the joints and behind the ears. Elephants used for riding risk spinal injury, internal damage and wounds from ill-fitting saddles or seats. Captive elephants used in tourism may be kept in restricted, unnatural environments, may be chained for long periods, may endure many long hours without shelter, shade or drink, and are often required to live alongside unrelated and incompatible animals. Deprived of freedom of movement and appropriate social interaction with other elephants, captive elephants often become frustrated and bored, and exhibit distressed behaviours. Elephants are unpredictable and potentially very dangerous: tourists should not consider trained elephants as tame. Interacting with them directly is risky and should be avoided. In Asia, humans have ridden elephants for nearly 4,000 years -- and elephants have been used in construction, timber extraction, religious festivals, royal parades and even in military campaigns -- however, many of these activities are now being re-evaluated in light of our growing appreciation and understanding of the behaviour and needs of elephants. Today, captive elephants are still used and frequently abused in cultural spectacles across Asia and, increasingly, they feature as controversial components of holiday itineraries. Tourists are able to ride, feed and bathe elephants, watch them perform tricks, play polo or football, or they are able to buy pictures painted by elephants. Demand from tourists, and the potential for big profits for the people who run these “attractions”, means that captive elephant tourism is now widespread across Asia and has spread to southern Africa. Elephants are highly intelligent and social beings that live in complex family groups, or larger herds, comprising multiple generations. They feel and express pain, suffering and distress, as well as affection, happiness, loss and grief. Unlike truly domesticated animals such as horses, elephants are wild animals and remain extremely unpredictable and dangerous. Elephants are immensely strong and fast and can cause severe injuries and even death. It is therefore unwise to regard them as tame, tractable or entirely safe. Direct contact between elephants and tourists should be avoided. The Asian elephant is classified by the IUCN (International Union for Conservation of Nature) as endangered, with the wild population numbering around 40,000 animals spread unevenly across 13 Asian countries. In Thailand, for example, there are thought to be between 2,500 and 3,200 wild elephants, while the captive population was estimated by the Government in 2012 to be 4,169, mostly used in tourism. The African elephant is classified by the IUCN as vulnerable, with a continental population of about 400,000. African elephants are found in 35 countries and populations in some nations have been reduced by up to 60 per cent in the last 10 years. This usually involves great cruelty and stress for the animals. Young elephants are forcibly separated from their families, causing significant and continuing distress for the captured infant, its mother and the rest of the herd. Before captured elephants can be used in tourism, they must be trained into compliance and to accept human control. This brutal process, which is known as crushing, (keddering in India or phajaan in Thailand), usually involves the elephant being restrained by ropes or held in a crush-pen for days, where they are deprived of food, water, sleep and the company of other elephants, and are beaten and terrified into submission. Young elephants are sourced from the wild to meet the increasing demand from tourist attractions. For example, a 2014 report by TRAFFIC, an NGO that monitors wildlife trade, said that some 80 wild Asian elephants were illegally captured to be sold to the tourist industry in Thailand between April 2011 and March 2013. Most elephant control systems involve the use of the ankus, or bullhook. The ankus is usually used by the elephant keeper to control and handle the elephant by jabbing or hooking the head, the mouth, behind the ear, the joints and the feet, all of which are particularly sensitive areas. Elephants under human control are often denied the ability to move at will or to engage in natural behaviours like foraging, and are often kept alone or in unnaturally small groups, usually with unrelated individuals. They develop abnormal behaviours, which indicate poor welfare. Males, in particular, can become extremely dangerous when they are in breeding season known as musth, a state that can last for several months. Unless their captive environment is specifically designed to contain them during this time of heightened aggression they are frequently chained for the entire period. Elephants may be large, but they have not evolved to be ridden. In fact, carrying heavy burdens may cause spinal injury, damage their internal organs, or stunt growth. The elephant-riding industry is largely unregulated and unsupervised, and the elephants work long hours, can’t behave naturally, and are exploited simply for profit. Any kind of elephant riding is a cause for concern and should be avoided. Training an elephant to perform in shows usually involves cruel and abusive methods. The animals are forced to behave in highly unnatural ways. Elephants have been made to walk on tightropes, to stand on their heads or up on their hind legs. It hardly needs to be said that such activities can cause an animal great discomfort, pain, physical and psychological injuries, and emotional distress. 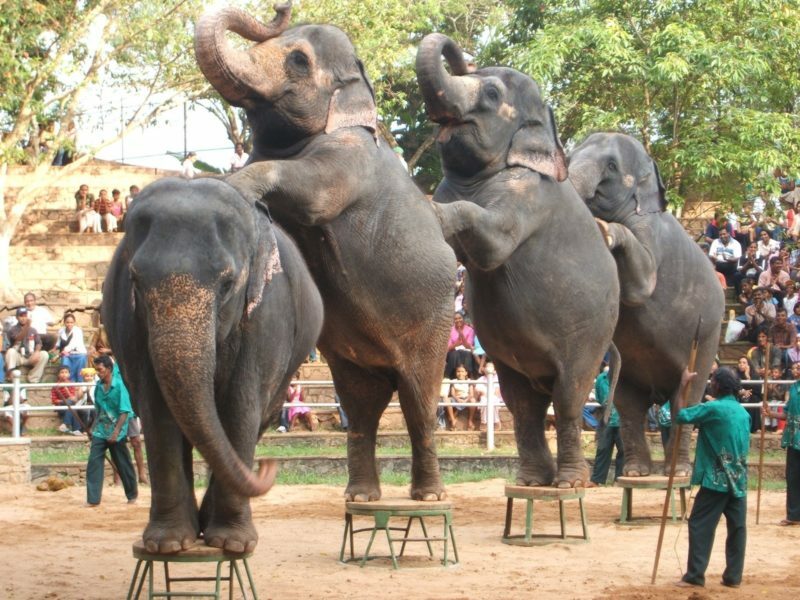 While genuine sanctuaries exist, the terms “sanctuary”, “rescue centre” and “orphanage” can be used by less reputable or profit-driven enterprises to disguise operations that may handle wild-caught elephants, breed, trade or sell animals to other organisations, train the animals to perform tricks, allow them to be ridden and generally permit them to be exploited as entertainment for tourists. How to tell the difference? Genuine sanctuaries prioritise animal welfare over profits, do not use chains and tethers, allow the animals the opportunity to move at will and not on command, do not permit direct contact between guests and the elephants, and create opportunities for their elephants to freely associate with each other. Genuine sanctuaries do not permit animals to breed unless the group is destined for release to the wild. They provide short or long-term refuge and rehabilitation and, where necessary, lifetime care. 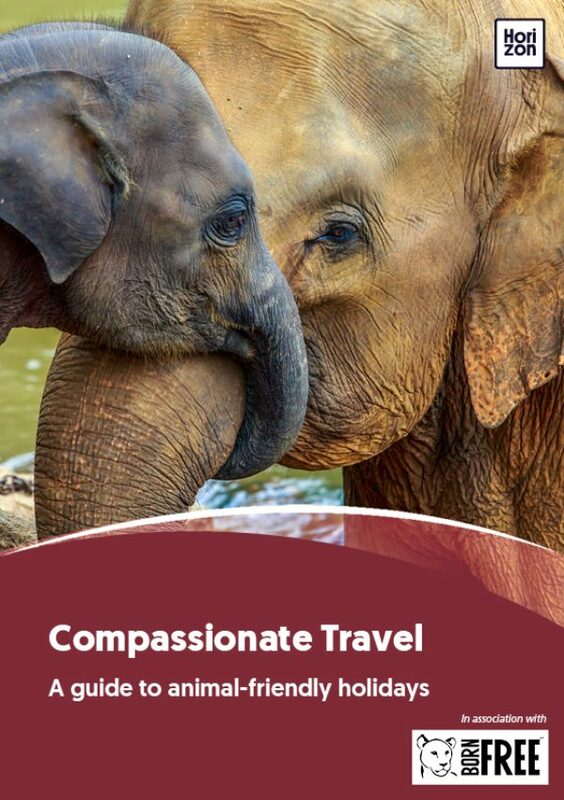 See our companion guide ‘Elephants In Asia, Ethically’ for further reading on elephant tourism.